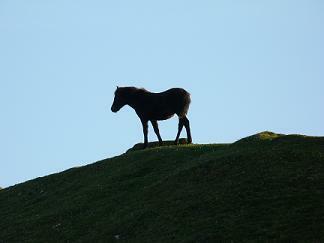 What types of ponies live on Dartmoor and are they all wild? 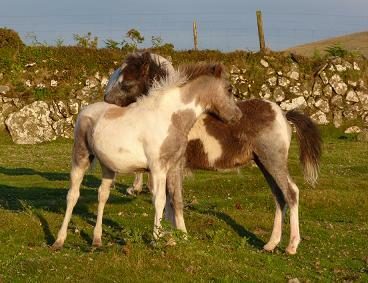 Dartmoor Hill ponies – a mixture of all sorts of ponies – coloured, spotted, Shetlands to larger ponies. There are many different groups with interests on the moor but the Dartmoor Commoners’ Council are the only organisation that have the legal ability to control and enforce management strategies on the Dartmoor common land. Why are ponies so special? Why are people so passionate about the ponies? People seem to connect with seeing ponies out on the moor – perhaps partly a sense of envy for what they see as a wildness beyond the stress, responsibility and restriction of our modern day lives! The ponies have existed for thousands of years and of course would have managed perfectly fine without human interference for much of their evolutional existence! Our native breeds have been used throughout history and have helped humans with farming, mining, fighting conflicts, and general transport – riding, pulling carts, and as pack ponies. 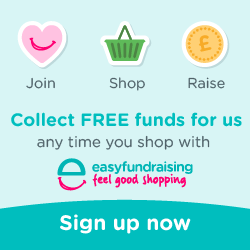 There is no end to the “leisure” activities ponies can excel at – jumping, dressage, cross country, endurance, driving, agility, teaching children to ride, trekking ponies, mounted games, riding for the disabled. In America ponies have been trained in the role of assistance, as the equivalent to guide/assistance dogs in the UK – although we haven’t seen ponies trained officially for this role in the UK yet, we have a pony who was trained to lead and long rein beside a mobility scooter! Ponies are so trainable and their benefits to people go way beyond that of being a leisure sport. The ponies have proved themselves in just about every discipline but they also bring benefit to humans connecting on an emotional level – some people describe this as healing – but they are able to help humans connect with their emotions and the world around them, particularly being recognised for their benefit to those on the autistic spectrum. 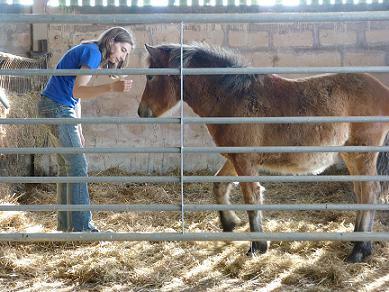 Many a time we have seen a connection with a pony result in an emotional release in a volunteer/helper – suddenly the blocks in their lives are realised or lifted. The ponies have a huge character but also form great trust and bonds with people – they see you and accept you exactly for who you are and they are more loyal than the majority of humans you meet! You begin to understand each other on a whole new level – some people experience this when they are riding and their pony knows what they are thinking and responds before their rider has physically asked or given a command. Many a true pony owner will have a bond with their pony…as deep as that they would have with a dog or cat – they become a loyal family member. Cheeky, fun, determined, sturdy, loyal…and always hungry! Out on the moors the true moorland ponies grow up to be hardy but they also learn true horse behaviour and what it means to be part of a herd – learning about respect, their environment and living in cooperation. Watching them with ill or injured herd members they are astonishing – the whole herd slowing to the pace of their slowest member and giving them time…sometimes we think they show more humanity than humans do! What will happen to the ponies this autumn? Sadly, just about every foal to come off the moor will be shot or slaughtered. This would usually be in the region of 600-800 foals. Usually around half of the foal population removed from the moor are taken to a market but extremely few will go to a private home with a loving future. The vast majority will be unlikely to make a minimum bid of £10. Some are bought by dealers – for meat but last year even the regional horse slaughterhouse was turning ponies away. The Dartmoor Hill Pony Association has pushed forward with its plan to promote ponies for human consumption and have set up their own agreement with a slaughterhouse. 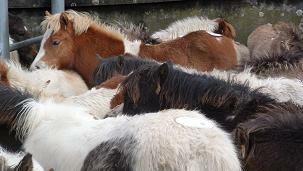 They are accepting ponies from young adult age so young ponies and older ponies are also now faced with slaughter. It’s possible that some might still be exported as they have been in recent years – often illegally and in appalling conditions…see our expose article about live exports. It is a misconception that most go as zoo meat – demand is low and very few numbers can actually be used in this way. 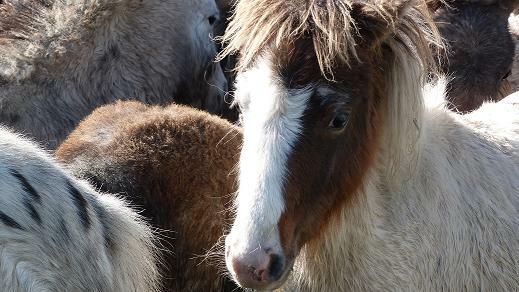 Why are so many unwanted foals bred on Dartmoor every year? d) foals are a by-product from keeping Dartmoor how it should be. other Associations nothing moves forward…and so the killing and culling continues. Can’t they just remove the stallions? Yes…but it involves co-operation from all individuals and groups involved…The Dartmoor Pony Society has called for this for many years. The Dartmoor Pony Heritage Trust also offered to pay for all stallions living out on the moor to be vasectomised but the Dartmoor Hill Pony Association have fought against these management options. Each organisation does not actually have any general control over the pony populations - ultimately decisions come down to individual pony owners. 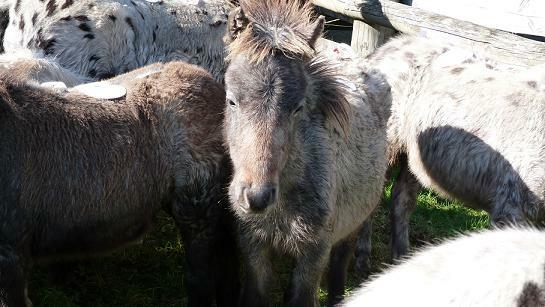 Dartmoor Ponies: The Final Round Up from Kathy Stringer on Vimeo. What about the idea of contraception? A few ponies may be given a contraceptive drug being trialled by DHPA – Improvac - one not licensed for equines. This was chosen rather than already licensed equine drugs …because the group using it want the ponies to enter the human food chain. The chosen contraceptive drug comes from commercial use where it is used in pig farming – It is used in male pigs intended for slaughter to stop boar taint. In our opinion, the use of the drug on Dartmoor is not about preserving the ponies - it’s about trying to convince people it is acceptable to see ponies as a by-product and to keep stallions out on the moors. The impact of the drug on the moorland environment and on the ponies themselves is still unknown. Research into finding a proven equine contraceptive drug that could stop or substantially limit breeding and avoid the need for culling/slaughter was not a route that was pursued by this organisation. 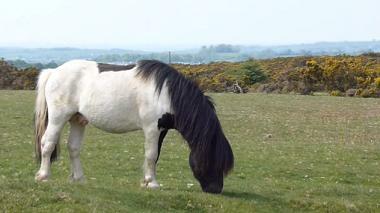 Sadly of course, the majority of mares on Dartmoor will already be pregnant with unwanted foals to be born next year. Can’t ponies conservation graze without breeding being necessary? Yes! 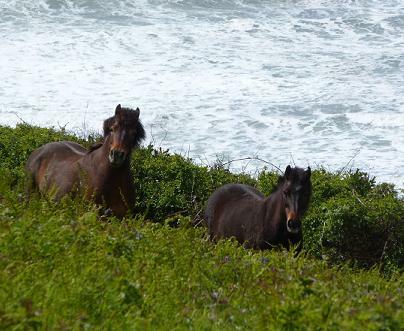 We have conservation grazing ponies – and we have a strict no breeding policy. We have had groups of mares, as well as mixed groups – geldings including former stallions. The ponies coexist very happily within their groups and can enjoy a lifetime being ponies just as they should be enjoying the wild plants and managing the nature reserves! The reason why this works though is because our ponies graze on private sites so we are the sole group involved - we do not have the problem of other owners deciding to turn out stallions to impregnate mares. What has research into the situation on Dartmoor revealed? The results of the research conducted by scientist and Dartmoor farmer Robyn Petrie-Ritchie were published in 2014. The research focussed on two separate areas - on the opinions and ideas of the farmers/breeders that owned ponies on Dartmoor; and the behavioural observations of ponies in particular management situations on the moor. In 2011, the Dartmoor Commoners' Council conducted their own survey into pony management on the commons. The result of this showed 76% were in favour of stallion removal and 23% were not in favour. No actions were taken from this research in terms of changing management. The behavioural research looked at 3 groups of ponies - the first was a herd of mares with a vasectomised stallion, the second was a herd of mares with no stallion, and the third was a group of mares on the contraceptive drug Improvac who were running with a proven stallion. The first group had far fewer foals, some foals were born because the owner had intentionally covered some mares inground (off the moor) with their own stallion. The vasectomised stallion did maintain his body condition and the herd displayed normal behaviours. The mares living without a stallion maintained their lears (territory area), proving that a stallion is not needed to keep the mares in certain areas. There were unwanted foals born to the mares because they were covered by other people's stallions. The contraception scheme mares didn't stay as tightly grouped together as the other herd groups. They were on a large enclosed area rather than the open moor so it is difficult to determine whether it is an effect from the drug or not. The drug Improvac is being trialled on the wild ponies as a contraceptive and is not licensed for use in equines. The drug company that produces it states that it is not likely to be licensed for equines in the near future. The ponies on the drug need to be injected, then again 4 weeks later, again in another 6 months and then booster jabs would be required. If the 6 month jab is missed the mare comes heavily into season and then would become pregnant if covered by a stallion. The long term effects of the drug are still unknown. Another research study conducted into horses on the drug Improvac tested 9 horses - one which stayed in oestrus meaning that the mare was constantly in season, posing potential welfare issues. Analysing the possible management methods and the behavioural results, each come with benefits and disadvantages, but the research results supported the idea that there should be a "No breeding on the open commons" policy. What will happen if nothing changes and individuals remain focussed on trying to develop a meat market? Thankfully the majority of the British public are very adverse to the idea of eating equines – we feel very connected to them as companion animals and last year we were assured by all major supermarkets that they have no intention of stocking Dartmoor pony on their shelves – in fact many openly expressed that they were absolutely horrified the idea had even been suggested. As humans pursue a goal of achieving profit…the story of the pony changes. Many of the “hill pony” types on the moor are not the “traditional” pony designed to live on the moor – they are added and bred for their intended final use... smaller ponies for use as pit ponies, spotty and coloured ponies when there was demand for their skins for fashion and hand-bags, larger ponies when they are more in fashion for ridden ponies. If human consumption is the goal then it would be difficult to imagine there would be no change in the size and shape of a pony being produced. Having worked as a welfare officer on Dartmoor I was astonished at the level of welfare callouts and it was rare to be called out to a heritage or pure Dartmoor pony. Hill ponies were the vast majority of welfare concerns and this is where the meat proposal lies...there would likely be contests on Dartmoor to any claims of the highest welfare standards being upheld for these ponies. The worst thing is that the pursuing of this strategy means that those breeders who do not wish to breed for meat purposes are faced with the prospect of no stallion removal or real change in management. Research published last year dedicated to helping to resolve the issue although welcomed by many has not yet brought any change in management or universal consensus/agreement by key individuals. Science is sometimes a very difficult subject to accept in a culture strongly based on tradition. By continuing to breed such huge numbers of foals – humans have rendered them in monetary terms valueless…but in terms of tourism the ponies themselves are an asset, they are incredibly valuable for conservation and they have extraordinary benefits for humans when they do have good, understanding, caring home to go to. Every year we hope that a change for the better will arrive but each year we have to extend that hope yet another 12 months. In our view the only current viable solution is to ensure the future of the ponies conservation grazing on the moors – breeding should be stopped completely for the moment. A strategy should be agreed to only breed to maintain the populations living on Dartmoor – that is the one viable environment and home. Breeding can take place off the open moor only to maintain conservation numbers, or to breed to order a few quality foals or adult ponies for private homes – to fetch a better price. Incidences of deformity from inbreeding would also be reduced this way. The only way this sort of management strategy is likely to happen is if there is one “over-riding” organisation taking responsibility and perhaps ownership. Whilst 51 different owners remain in the mix pulling in different directions it seems a long way from any sort of agreement being reached. People will only accept that the ponies are special and important if we treat the ponies’ management with the same philosophy. Controversially we don’t think the future of the ponies should be based on profit making – as long as the costs of looking after the ponies can be covered that should be enough…whether that is from subsidies or sponsorship. The ponies on Dartmoor should be those suited to living on the moor. What seems like a group of fluffy, cute, wild ponies on the moor actually has a huge amount of human politics behind it and the ponies and Dartmoor suffer as a result…and that leads to ultimate potential subject…after all this arguing will the ponies be lost from the moor after all…? For responsible owners their only option is to take their ponies off the moor or stop keeping them...so the best owners and ponies will be lost from the moors altogether.